It was a good week for your Girls Go Grape blogger – I ended a 16-year chapter of my life in the advertising and publishing industry only to have a meeting immediately prior to ‘handing in my phone’ with a great contact who has a potential business partnership opportunity for me. Yay! More to come – still in the early meeting stages but I am flattered nonetheless. Then, the week got even better! I had sent an email to the BC Wine Authority letting them know who I am and asked what their process is around becoming a VQA Wine Quality Assessor (a volunteer position that is responsible for ensuring BC VQA wine quality and reputation). As luck would have it, I met their qualifications and there was one spot available for their two weekend workshop that is the mandatory first step. 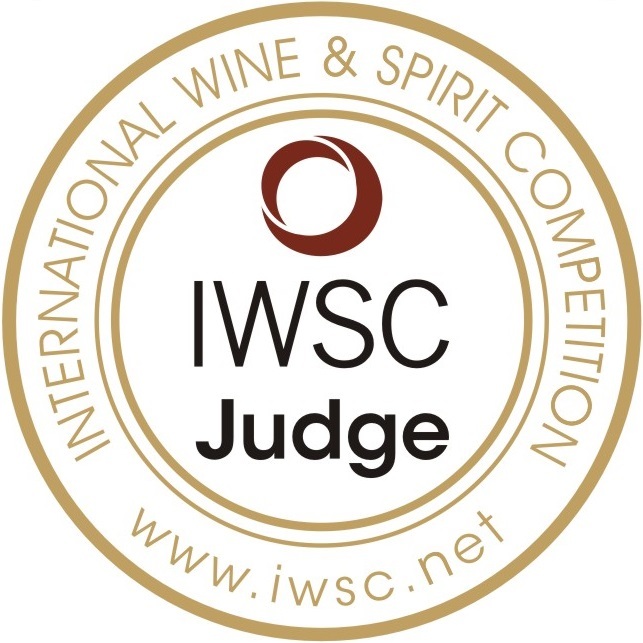 So – I am off to the Okanagan this weekend and the next to learn all about wine ‘faults’ and how to very specifically identify these faults in wine. I am still kind of pinching myself at the timing of everything…yes – one door closes and many others open up. 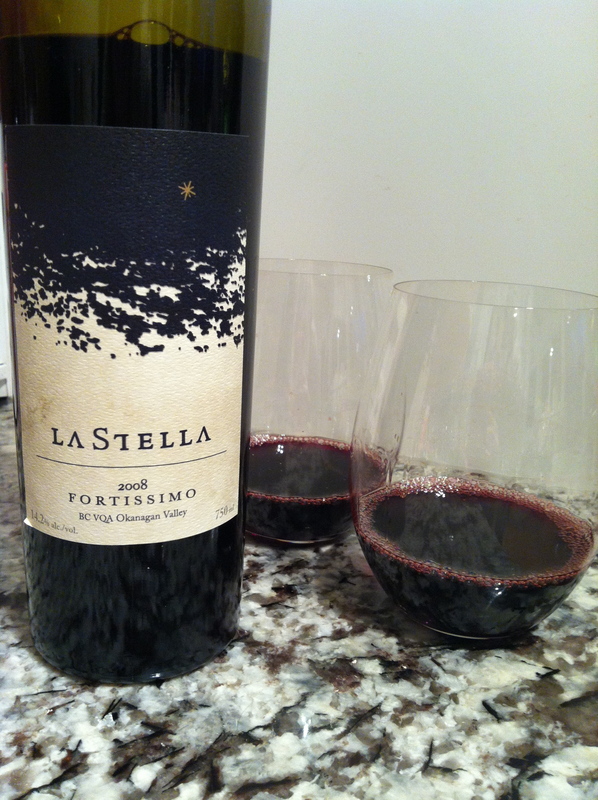 On to the wine of the week…I was in the mood for a big red wine so I went downstairs and selected La Stella’s ‘Fortissimo’ 2008 from Osoyoos, B.C. I had purchased this bottle of wine last October when I went up to the Okanagan Wine Festival. I was hosted by the wonderful Mike Kosaka and Wade Martin and joined in a flight tasting that had just started. Pretty much everything I tasted at La Stella blew me away and the experience was excellent. The ‘Fortissimo’ was my favourite in the flight. It is a ‘Super Tuscan’ blend of Merlot, Cabernet Sauvignon, Cabernet Franc and Sangiovese…delicious. In the glass, La Stella’s 2008 ‘Fortissimo’ is a deep, vibrant ruby-red colour. On the nose, aromas of dusty earth, oregano and dried herbs, cherry, raspberry, some delicate oak and sweet spice. I could have kept smelling this glass of wine for hours! On the palate, ‘Fortissimo’ has a pronounced flavour profile with tastes of all the aromas in the glass – truly an exceptional flavour with elegance and complexity. La Stella’s ‘Fortissimo’ is medium plus in alcohol at 14.2% abv. and medium plus in body. The tannins are well-integrated and refined and the wine has a nice, bright acidity that I love in a red…thank you, Sangiovese! This lovely wine has a long, lingering finish and is a beautiful expression of a ‘Super Tuscan’ wine from La Stella. This is a ‘Hell Yes’ wine – absolutely! The ‘Fortissimo’ 2011 from La Stella has just been released at $35 per bottle. A great bottle of wine you can enjoy now or put down for the next 3 – 5 years. That is it for me this week! I look forward to giving you some fun details about my first ‘tasting’ workshop this weekend in next weeks’ blog post. As always, I welcome wine questions – so don’t hesitate to ask!